As I stepped off the bus into Challenging Heights, I saw a sea of welcoming children filled with kindness, love and joy. Among the group of open hands and waves, our eyes connected and he spoke to me without saying a word. Noah’s smile and positive attitude took my breath away. We were strangers at first meeting, but in our hearts, we knew we were already friends. This is my first mission trip with the Beauty for Freedom team, despite being involved with the organization since 2014, and our first with Challenging Heights (CH) in Ghana. 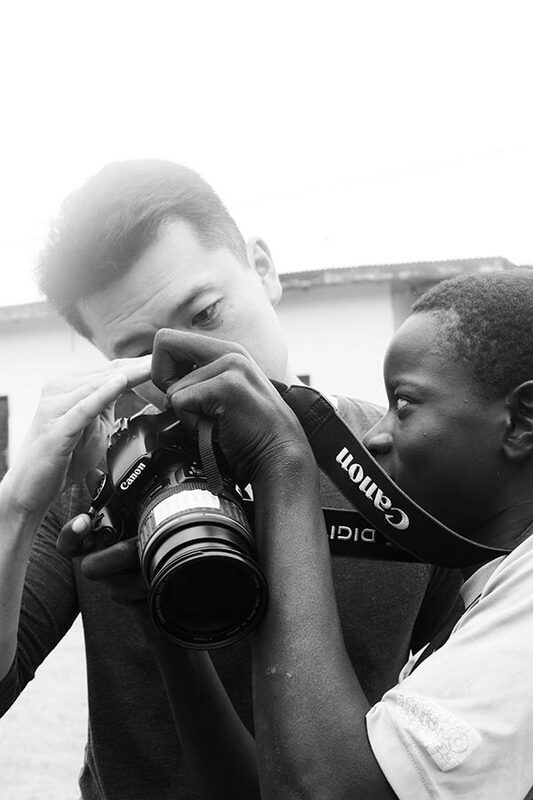 Our goal is to inspire the young survivors of labor trafficking and at-risk youth CH serves with our creative arts therapy and photography workshops by engaging them to allow their imaginations to soar. What I didn’t expect was how much they’ve inspired me on Day 1. I’ve spoken to many BFF Ambassadors who have embarked on prior trips, but nothing could ever prepare me for this. When I first saw Noah, I noticed a child who was excited to meet new friends. He had no expectations of receiving and only wants to give; his friendship. My expectation prior to this trip with the team was to teach, instruct and show support. In turn, Noah has taught me before the workshops even begun. Despite their challenging surroundings, these youth are hopeful, compassionate, bright, talented and most importantly children. They have reminded me from Day 1, that their innocence and genuine affection cannot be taken away from their spirit. 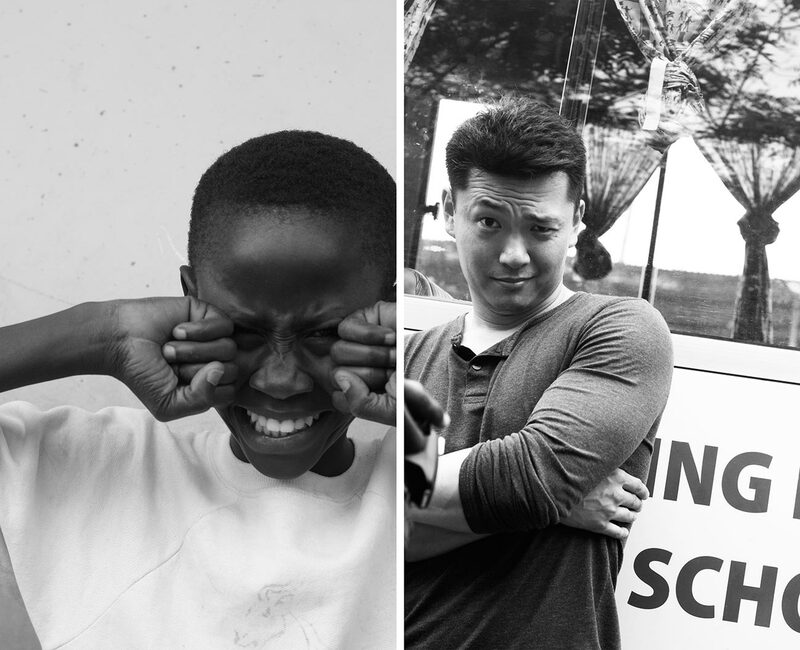 These children don’t want to be seen as individuals who need help but want to be seen as kids. They are so mature and strong, the children at Challenging Heights remind us of the innocence from our youth. They are actually teaching us to not take life for granted; to not let our daily struggles of work & life be taken so seriously. I consider myself fortunate. I have 2 wonderful parents who provided me an education, brothers, and sister who have looked after me, a loving girlfriend who warms my heart and empowers me to be the best I can be. Reflecting on my upbringing, I’m truly blessed to have parents who allowed me to be a kid; to draw, paint, play instruments, to be creative. My parents encouraged me to dream. So much and so often that I would trust myself to realize that my dreams could one day become my reality; if I worked hard at it. The love and support I receive from them have given me the self-confidence I need to take on the world. Noah and the other children appreciate every day as a gift despite the lack of resources and opportunities. They have hopes and dreams to one day become a photographer, a doctor, a professional footballer and to grow up to have loving and nurturing families of their own. My hope is that we can help inspire them through our workshops cultivating their dreams and helping them to know that anything is possible for them. Through our art and photography workshops, they can paint and draw and create something from their imagination, and with each stroke of the brush, each color and additional layer, they can create something of beauty. Each and every one of these children is beautiful inside and out. One click of the camera and they can begin to see themselves the way they want to be seen; confident and beautiful. The work and rehabilitation Challenging Heights has done with these youth is nothing short of incredible. The Beauty for Freedom team feels honored to be able supplement the growth and imagination of the children where they can feel empowered, and I feel blessed to have met Noah and can’t wait to paint with him at tomorrow’s workshop. Noah is my new BFF and I can’t wait to make more memories with him and the rest of the exceptional youth of Challenging Heights.